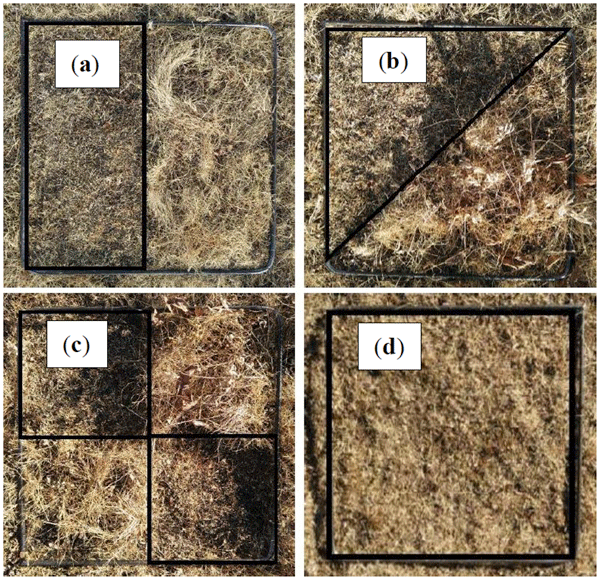 Soil fungi could be the main source of N2O production potential in the Tibetan alpine grasslands. Warming and winter grazing may not affect the potential for soil N2O production potential, but climate warming can alter biotic pathways responsible for N2O production. 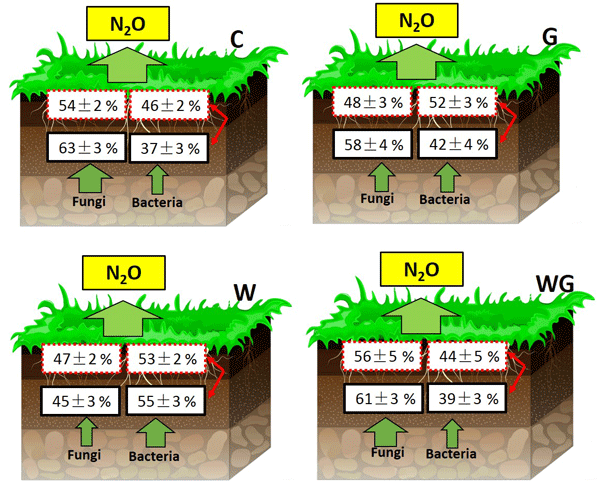 These findings indicate that characterizing how fungal nitrification–denitrification contributes to N2O production, as well as how it responds to environmental and land use changes, can advance our understanding of N cycling. 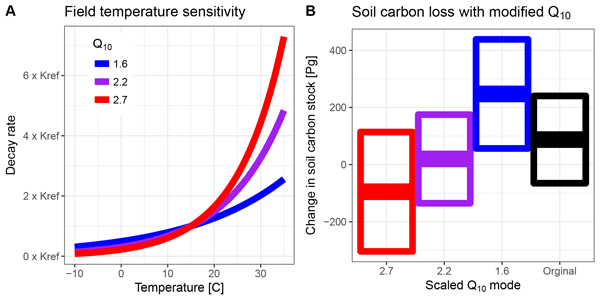 The temperature sensitivity of soil carbon loss is a critical parameter for projecting future CO2. 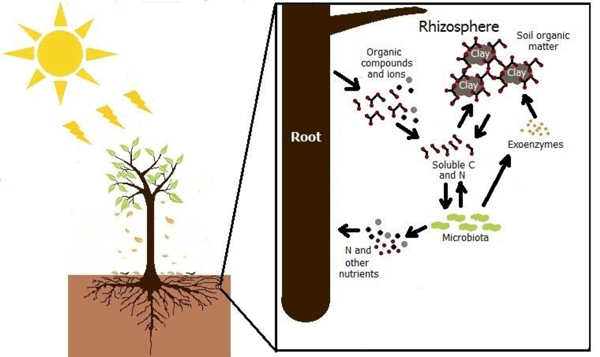 Isolating soil temperature response in the field is challenging due to difficulties isolating root and microbial respiration. 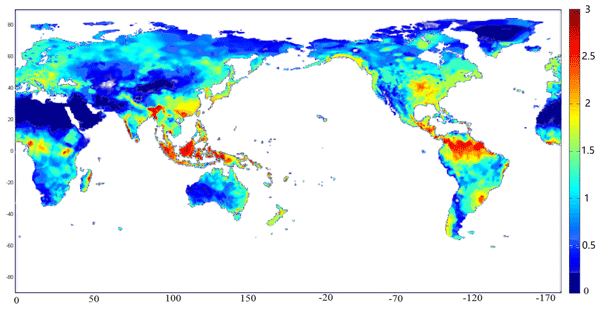 We use a database of direct-warming soil carbon changes to generate a new global temperature sensitivity. Incorporating this into Earth system models reduces projected soil carbon. But it also shows that variation due to this parameter is as high as all other causes. The ecosystem is a significant sink of carbon dioxide. To quantify this sink, very complex and validated models are required. However, the comparison of modeled and measured energy and matter fluxes in a heterogeneous landscape is still a challenge. On the one hand, models must be applied for various surface types, while on the other hand the comparison of the fluxes is only possible based on the flux source areas. This paper treats the potential aggregation of modeled fluxes and its validation. Measuring greenhouse gases (GHGs) from a natural ecosystem remains a contemporary challenge. We tested the use of appropriate technology for the estimation of soil fluxes of the three main GHGs in a tropical rainforest for 4 months. 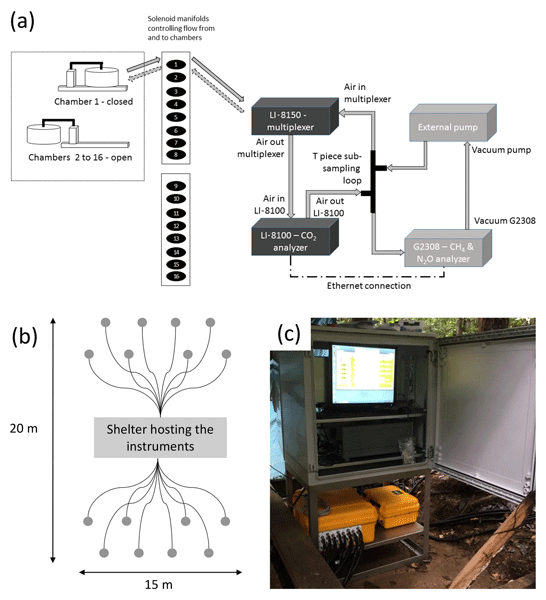 We showed that our design allowed the continuous high-frequency measurement of the three gases in a tropical biome and provide recommendations for its implementation. This study is a major step in the estimation of the global GHG budget of tropical forests. The Red River is a typical south-east Asian river, strongly affected by climate and human activity. This study showed the spatial and seasonal variability of CO2 emissions at the water–air interface of the lower part of this river due to natural conditions (meteo-hydrological-geomorphological characteristics) and human activities (dam impoundment, population, land use). The Red River water was supersaturated with CO2, providing a mean water–air CO2 ﬂux of 530 ± 17 mmol m−2 d−1. The silicon stable isotope distribution determined from samples collected from the North Atlantic Ocean indicates that water mass subduction and circulation are the dominant processes controlling the distribution of dissolved silicon in this region. 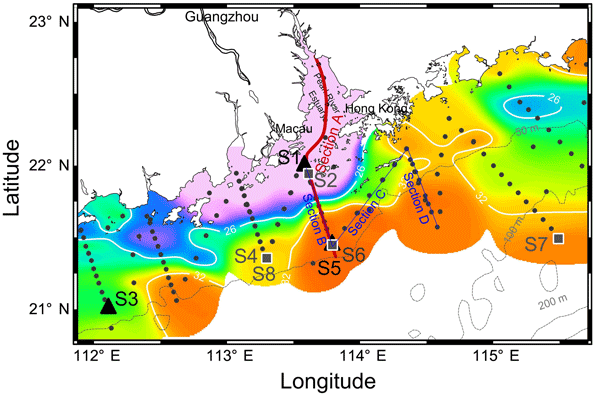 In addition, these data provide a clear view of the direct interaction between northern and southern water masses and the extent to which the silicon isotope composition of these silica-poor waters is influenced by hydrography. Seawater salinity is an important factor when trying to reconstruct past ocean conditions. Foraminifera, small organisms living in the sea, produce shells that incorporate more Na at higher salinities. The accuracy of reconstructions depends on the fundamental understanding involved in the incorporation and preservation of the original Na of the shell. In this study, we unravel the Na composition of different components of the shell and describe the relative contribution of these components. Biogenic carbonates record past environmental conditions. Fossil shell chemistry and microstructure change as metastable biogenic carbonates are replaced by inorganic calcite. Simulated diagenetic alteration at 175 °C of different shell microstructures showed that (nacreous) shell aragonite and calcite were partially replaced by coarse inorganic calcite crystals due to dissolution–reprecipitation reactions. EBSD maps allowed for qualitative assessment of the degree of diagenetic overprint. 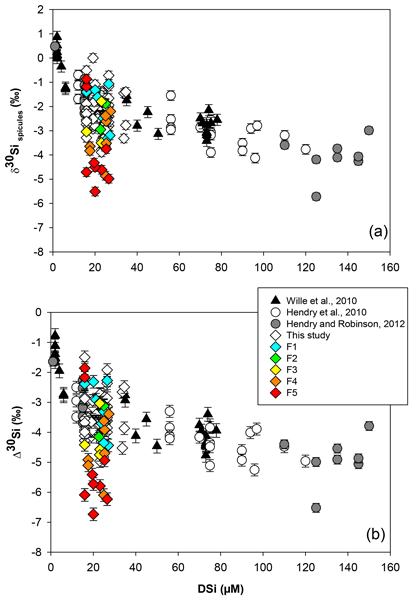 Our study at low-pH submarine springs suggests that ocean acidification may reduce the number of Caribbean benthic foraminifera, particularly those species that form carbonate shells. This may have subsequent repercussions on the global carbon cycle and marine food webs that depend on benthic foraminifera. 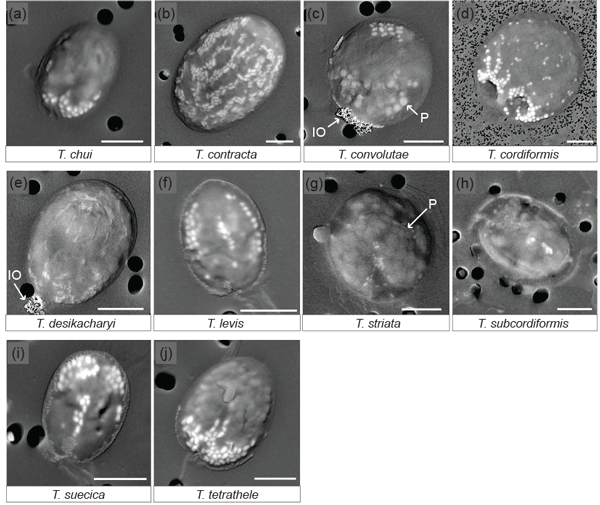 The unicellular microalga Tetraselmis cordiformis (Chlorophyta) was recently discovered to form intracellular mineral inclusions, called micropearls, which had been previously overlooked. 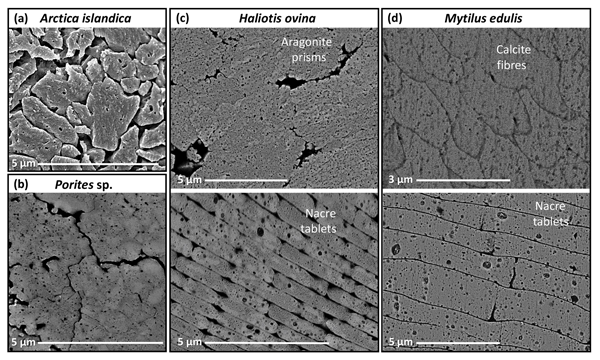 The present study shows that 10 Tetraselmis species out of the 12 tested share this biomineralization capacity, producing amorphous calcium carbonate inclusions often enriched in Sr. This novel biomineralization process can take place in marine, brackish or freshwater and is therefore a widespread phenomenon. Organisms living in natural environments have to cope with constantly fluctuating conditions in order to compete and survive. Hereby, membrane lipids may play an integral role. 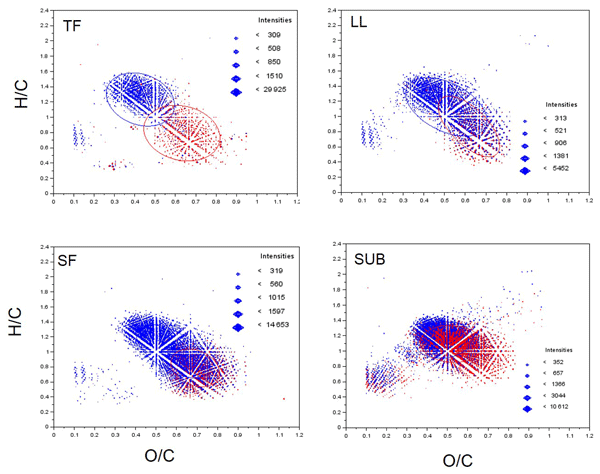 This study demonstrates that the lipid repertoire and lipid modifications in marine picoplankton living in oxygen minimum zones may be larger than previously thought. The abundant presence of non-phosphorus lipids hint at nutrient limitation within deeper depths of the ocean, even though these are not considered as such. How fast might the arctic treeline in northern central Siberia migrate northwards under current global warming? To answer this, we newly parameterized dispersal processes in the individual-based and spatially explicit model LAVESI-WIND based on parentage analysis. 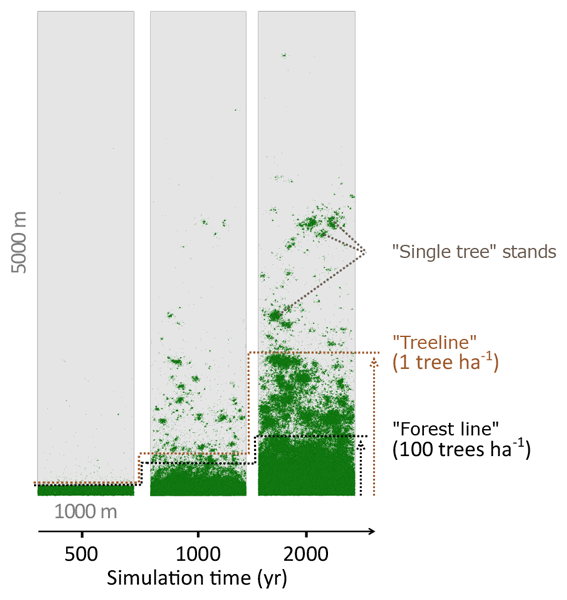 Simulation results show that northernmost open forest stands are migrating at an unexpectedly slow rate into tundra. We conclude that the treeline currently lags behind the strong warming and will remain slow in the upcoming decades. 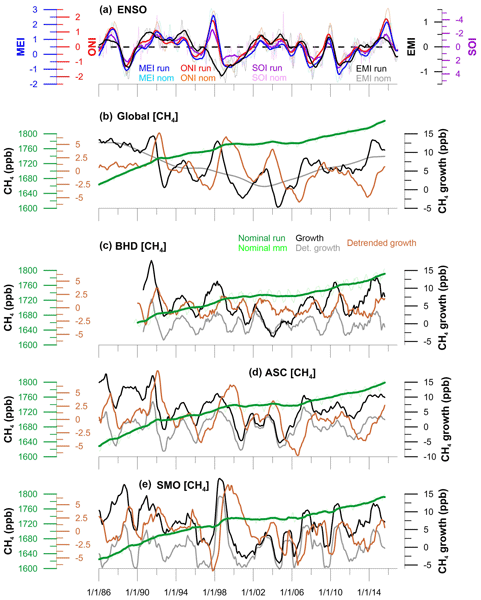 Canopy structural and leaf photosynthesis parameterizations are often fixed over time in Earth system models and represent large sources of uncertainty in predictions of carbon and water fluxes. We develop a moving window nonlinear optimal parameter inversion framework using constraining flux and satellite reflectance observations. 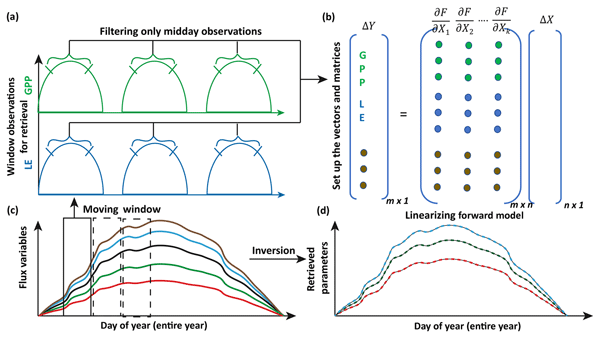 The results demonstrate the applicability of the approach for error reduction and capturing the seasonal variability of key ecosystem parameters. The understanding of surface water methane production in the world oceans is still poor. 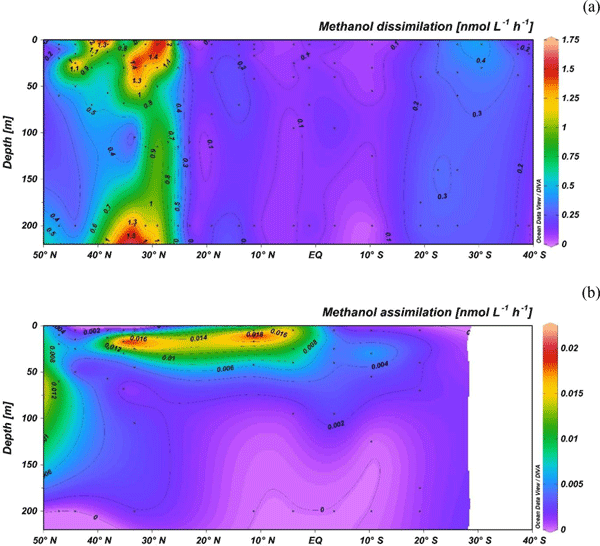 By combining field studies and incubation experiments, our investigations suggest that zooplankton contributes to subthermocline methane enrichments in the central Baltic Sea by methane production within the digestive tract of copepods and/or by methane production through release of methane precursor substances into the surrounding water, followed by microbial degradation to methane. The remains of plankton rain down from the surface ocean to the deep ocean acting to store CO2 in the deep ocean. We used a model of biology and ocean circulation to explore the importance of this process in different regions of the ocean. We found that the amount of CO2 stored in the deep ocean is most sensitive to changes in the Southern Ocean. As plankton in the Southern Ocean may be most impacted by climate change, the amount of CO2 they store in the deep ocean could also be affected. Recent studies demonstrate that marine N2 fixation can be carried out without light. However, direct measurements of N2 fixation in dark environments are relatively scarce. 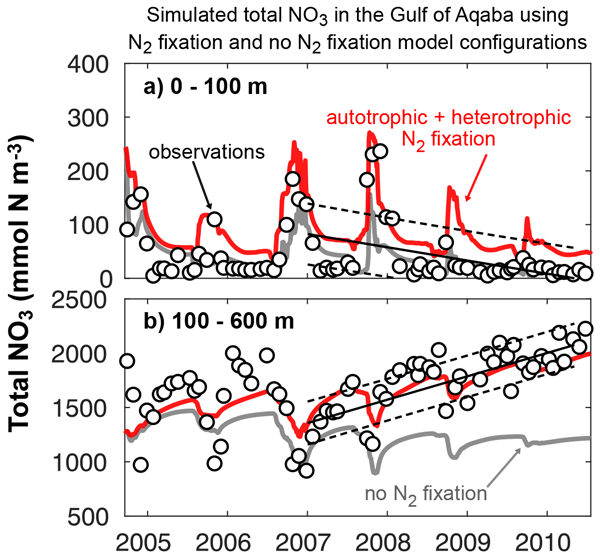 This study uses a model that represents biogeochemical cycles at a deep-ocean location in the Gulf of Aqaba (Red Sea). Different model versions are used to test assumptions about N2 fixers. Relaxing light limitation for marine N2 fixers improved the similarity between model results and observations of deep nitrate and oxygen. Using a simple model, we show that the silicon isotopic composition of sponges can be used to estimate the silicic acid concentration of seawater, a key parameter linked to nutrient and carbon cycling. However, our data illustrate that skeletal type and growth rate also control silicon isotopic composition of sponges. Our study demonstrates the paleoceanographic utility of sponges as an archive for ocean silica content provided that suitable skeleton types are selected. 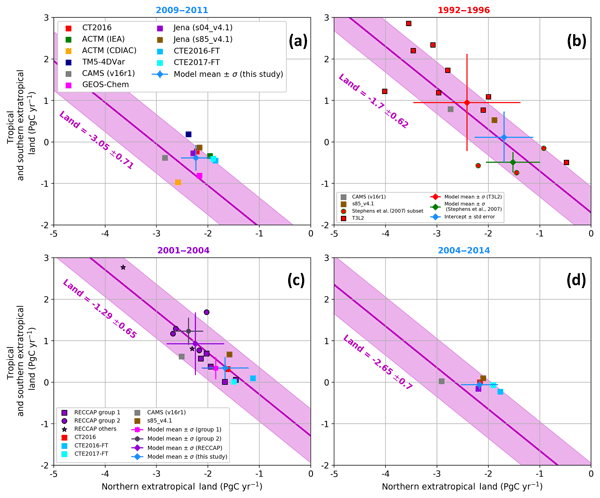 The contribution of atmospheric nitrogen deposition to the marine dissolved inorganic nitrogen (DIN) pool of the North and Baltic Sea was assessed for the year 2012. 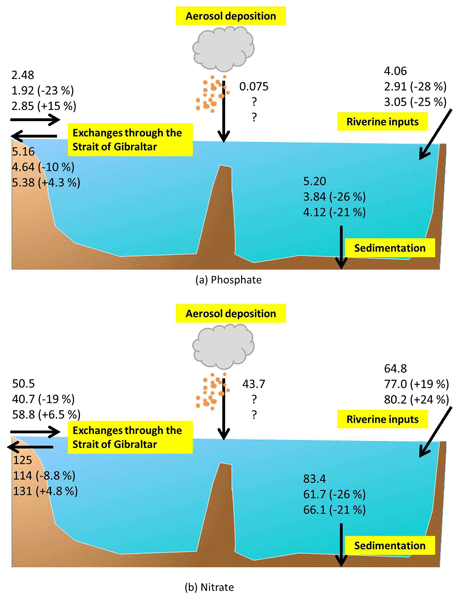 Atmospheric deposition accounted for approximately 10 % to 15 % of the DIN but its residence time differed between both water bodies. The nitrogen contributions of atmospheric shipping and agricultural imissions also were assessed. Particularly the latter source had a large impact in coastal regions. To quantify the impact of El Nino–Southern Oscillation (ENSO) climate events on the methane budget, we studied the correlation between CH4 time series and ENSO indices. We find that ENSO explains less than one-third of the variability in CH4 levels and their stable carbon isotopes, which constrain the source processes of emissions. ENSO forcing of the CH4 cycle is too small, episodic, and regional to force atmospheric trends, which are more likely caused by agricultural or industrial emissions. 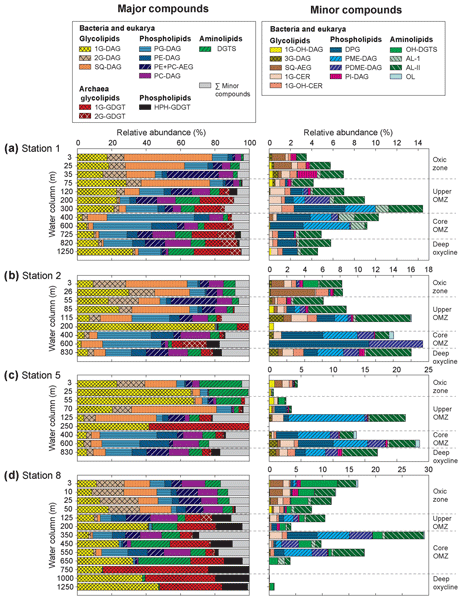 Basin-wide comparisons of 3 major greenhouse gases (GHGs) were combined with measurements of C isotopes in DOC, CO2, and CH4 to explore how dams and urban wastewater modify the continuum of riverine GHG dynamics in a highly human-impacted river basin in Korea. 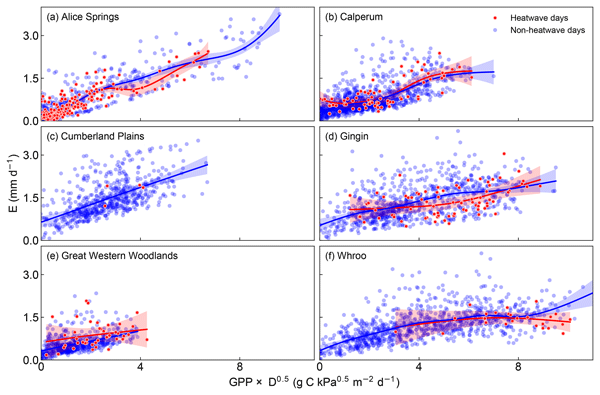 Contrasting dam effects on 3 GHGs and pulsatile increases in GHGs downstream of urban tributaries delivering wastewater-derived GHGs and old DOC suggest anthropogenic discontinuities in riverine metabolic processes and GHG dynamics. Nitrous oxide (N2O) is a strong greenhouse gas and ozone-depletion agent. Intense N2O effluxes had been observed from nutrient-rich estuaries with human impacts, such as the Chesapeake Bay. 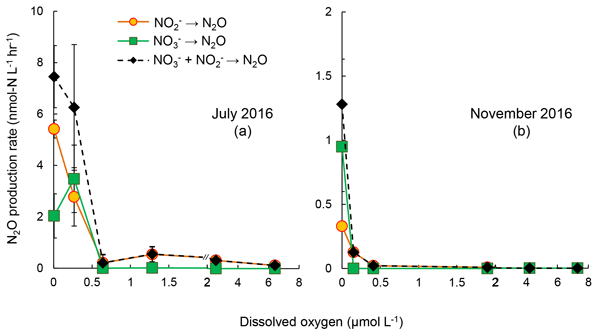 We report that increased nitrogen availability and low-oxygen conditions stimulate N2O production. Thus, controlling the nutrient input to the bay will decrease nitrogen availability and alleviate eutrophication, leading to water column reoxygenation, and subsequently will mitigate N2O emission. 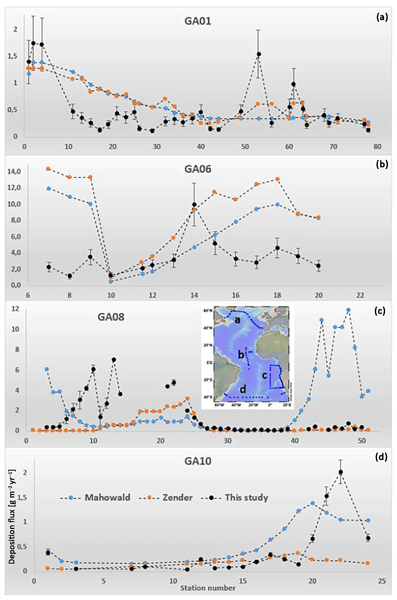 We surveyed the spatial and seasonal variations and estimated the seaward export of DOM in the of Pearl River estuary (PRE), China. The concentration of DOM in this estuary decreases from land to sea but the change in its chemical character is marginal. The concentration and export of DOM are the lowest among the world’s major rivers. 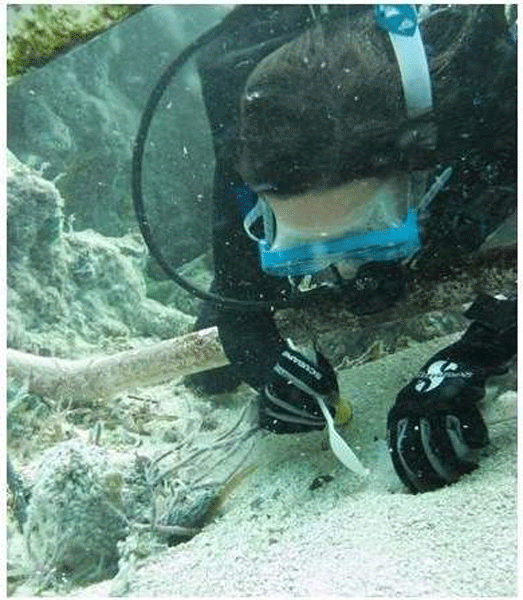 Yet DOM delivered from the PRE is protein-rich and can be readily used by microbes, thereby exerting a potentially important impact on the local marine ecosystem. 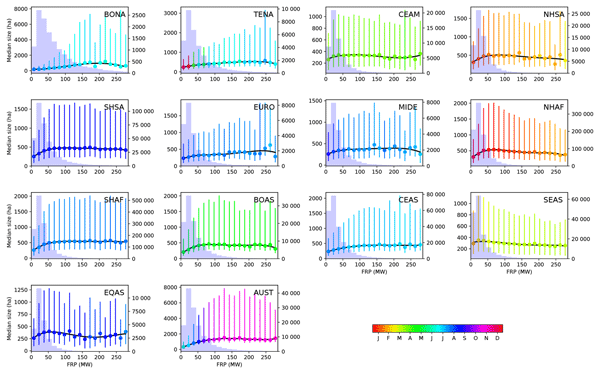 Using a simulation study and field data, we quantify the biases that can be introduced in fluxes measured by eddy covariance (EC) if the raw high-frequency data are affected by random and systematic timing misalignments. Our study was motivated by the increasingly widespread adoption of fully digital EC systems potentially subject to such timing errors. We found biases as large as 10 %. We further propose a test to evaluate EC data logging systems for their time synchronization capabilities. 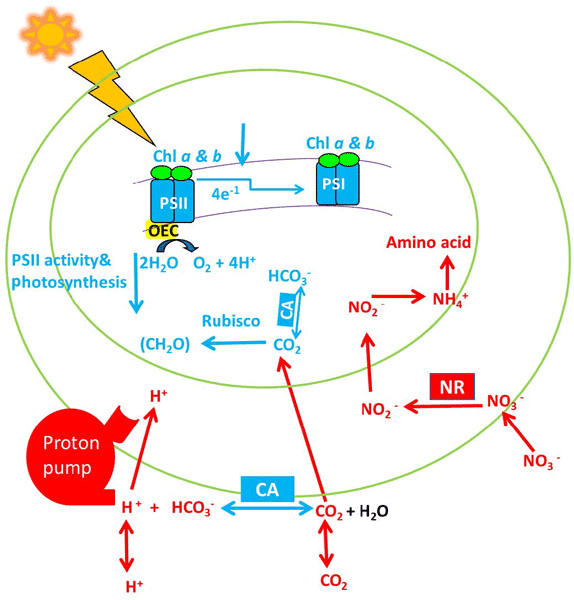 The spatial distribution of the attenuation of photosynthetic active radiation (Kd(PAR)) was routinely estimated in China lakes and reservoirs. The light absorption coefficient of OACs could explain 70 %–87 % of Kd(PAR) variations. 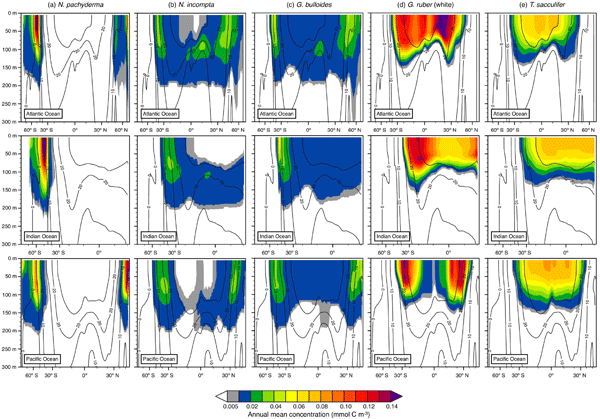 Kd(PAR) could be predicted from aOACs values in the inland waters. Besides, results of this study are suggesting that new studies on the variability of Kd(PAR) in inland waters must consider the hydrodynamic conditions, trophic status and OACs within the water column. 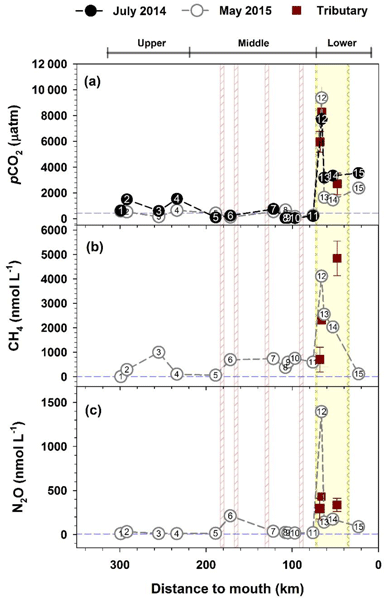 We investigated the spatial and temporal variability of riverine CO2 outgassing characteristics of the Yellow River source region. Riverine CO2 emission were in situ monitored under different land cover types (i.e., glacier, permafrost, wetland, and grassland) in the research area.This study will lead to a better understanding of riverine carbon export, especially for alpine rivers, which will help refine the global estimation of global GHG gas emission. Exploitation of deep-sea resources in one of the largest ecosystems on the planet, have rendered research of its biodiversity more urgent than ever before. We investigated the impact of mining in the deep sea on amphipods, and now have important knowledge on the known habitats and connectivity of several species. We also demonstrate that a long-term disturbance experiment (Peru Basin) has had a detrimental impact on amphipod biodiversity, instrumental data for formulating sustainable policies. The fossil shells of planktonic foraminifera are widely used to reconstruct past climate conditions. To do so, information about their seasonal and vertical habitat is needed. 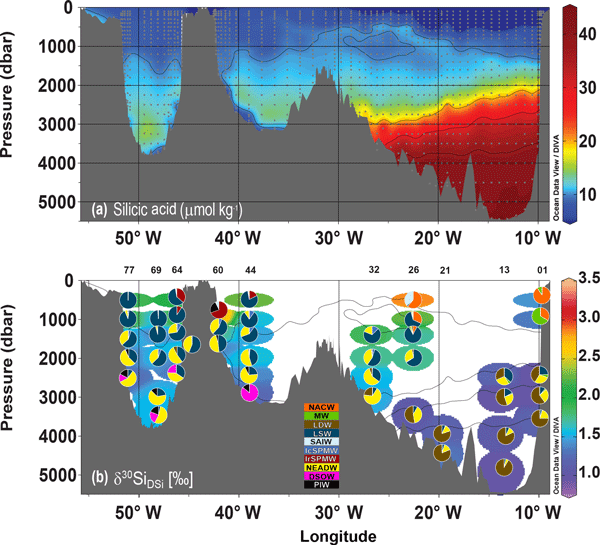 Here we present an updated version of a planktonic foraminifera model to better understand species-specific habitat dynamics under climate change. This model produces spatially and temporally coherent distribution patterns, which agree well with available observations, and can thus aid the interpretation of proxy records. 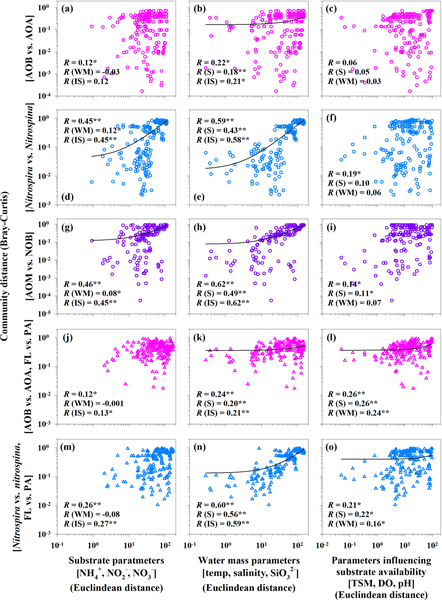 This study explores the relative contributions of tree demographic, canopy structure and hydraulic processes on the Amazonian carbon and water cycles using large-scale process-based model. Our results imply that explicit coupling of the water and carbon cycles improves the representation of biogeochemical cycles and their spatial variability. Representing the variation in the ecological functioning of Amazonia should be the next step to improve the performance and predictive ability of models. We investigated the physiological responses of a green tide alga to the combination of ocean acidification and nutrient limitation. Elevated pCO2 did not affect the growth rate when cultured under nutrient replete conditions but reduced it under P limitation. 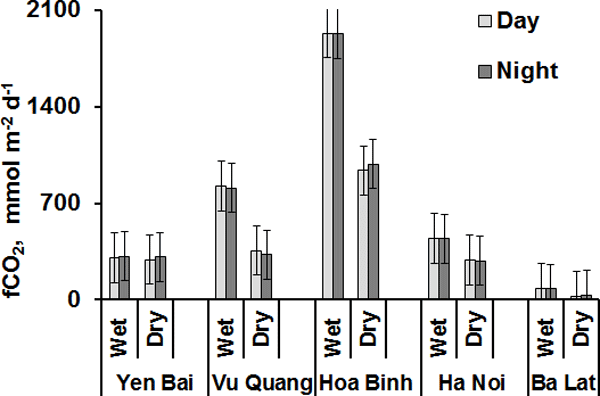 P limitation resulted in a larger inhibition in growth for sporelings compared to adult plants. These findings indicate that ocean acidification and nutrient limitation may hinder the occurrence of green tides in future ocean environment. 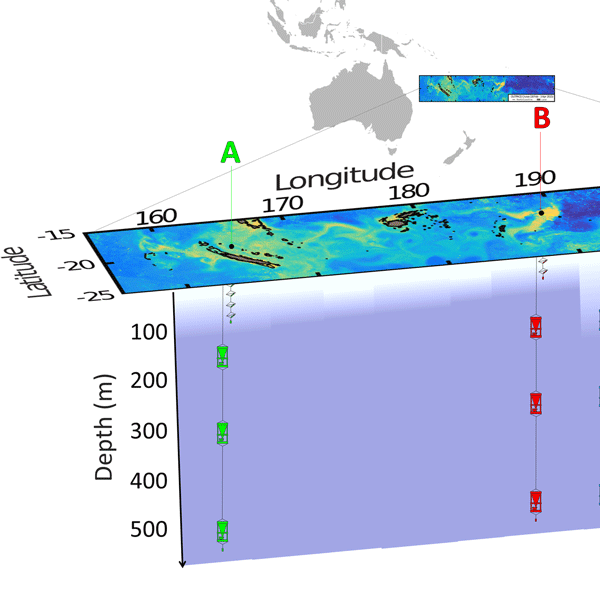 We performed N budgets to assess the role of N2 fixation on production and export in the western tropical South Pacific Ocean. We deployed a combination of techniques including high-sensitivity measurements of N input and sediment traps deployment. We demonstrated that N2 fixation was the major source of new N before atmospheric deposition and upward nitrate fluxes. It contributed significantly to organic matter export, indicating a high efficiency of this region to export carbon. Variabilities of phytoplankton physiology and size-fractionated growth could be related to the physical dynamics of a frontal system. While the river plume increased growths of three phytoplankton size classes, both nano- and picocells became saturated at the frontal zone. 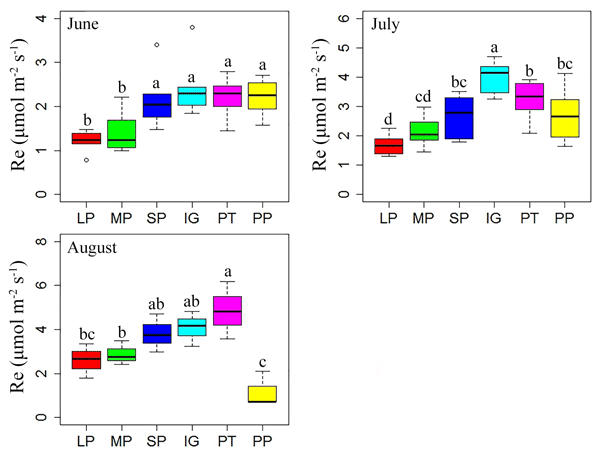 Vertical mixing/upwelling improved phytoplankton growth on both sides of the front by altering nutrient concentrations and ratios. These are important for understanding physically driven ecosystem dynamics in the shelf sea. Recent experimental evidence suggests that during heat extremes, trees may reduce photosynthesis to near zero but increase transpiration. Using eddy covariance data and examining the 3 days leading up to a temperature extreme, we found evidence of reduced photosynthesis and sustained or increased latent heat fluxes at Australian wooded flux sites. However, when focusing on heatwaves, we were unable to disentangle photosynthetic decoupling from the effect of increasing vapour pressure deficit. Soils are the largest reservoir of carbon on land. In the context of global change, it is important to assess which environmental variables are needed to describe changes in the content of soil organic carbon. 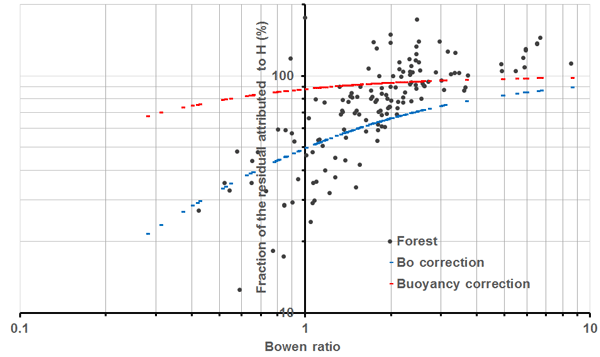 We assessed how climatic, vegetation and edaphic variables explain the variance of soil organic carbon content in Swiss forests. 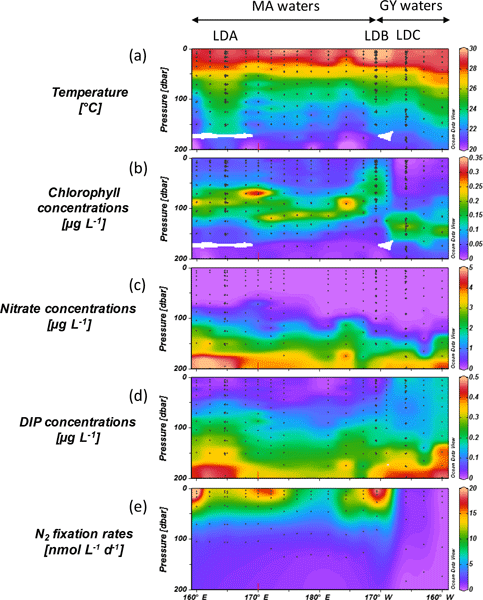 Our results provide a first indication that considering the effective cation exchange capacity of soils in future biogeochemical simulations could be beneficial. We evaluate the effects of climate change and biogeochemical forcing evolution on the nutrient and plankton cycles of the Mediterranean Sea for the first time. We use a high-resolution coupled physical and biogeochemical model and perform 120-year transient simulations. The results indicate that changes in external nutrient fluxes and climate change may have synergistic or antagonistic effects on nutrient concentrations, depending on the region and the scenario.